Jays' Tee Vee: Third Impact, IN SPADES! Either this is some kind of End of Evangelion cosplay deal or a very bad Brylcreem ad. "A little dab 'll do ya!" "Mommy! ... Mommy! ... Oh! ... Wait! ... She's already here ... Sorta kinda ..."
A student at work turned me on to this & I just had to share it with one & all. It's from the American Cosplay Paradise site. American Cosplay Paradise main page here & specific here. Neon Gensis Evangelion: All's Not Right At Nerv here. End of Evangelion This Is (Really) Disturbing here. 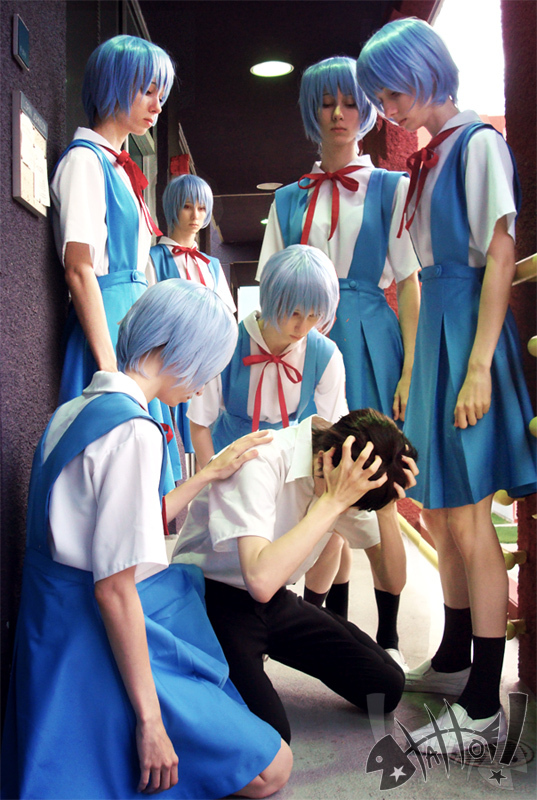 Neon Genesis Evangelion OOOO! Goodies In The Mail here. Shinji, don't break. Don't break. Don't break. Don't break. Don't break. Don't break. Don't break. Don't break. Don't break. Don't break. Don't break. Don't break. Don't break. Don't break. Don't break. Don't break. Don't break. Don't break. Don't break. Don't break. Don't break. Don't break. Don't break. Don't break.